Use the Fork Inspection Kit developed by Cascade to promote safety in the workplace. One of the keys to safe lift truck operations begins with inspecting your forks for wear and damage. 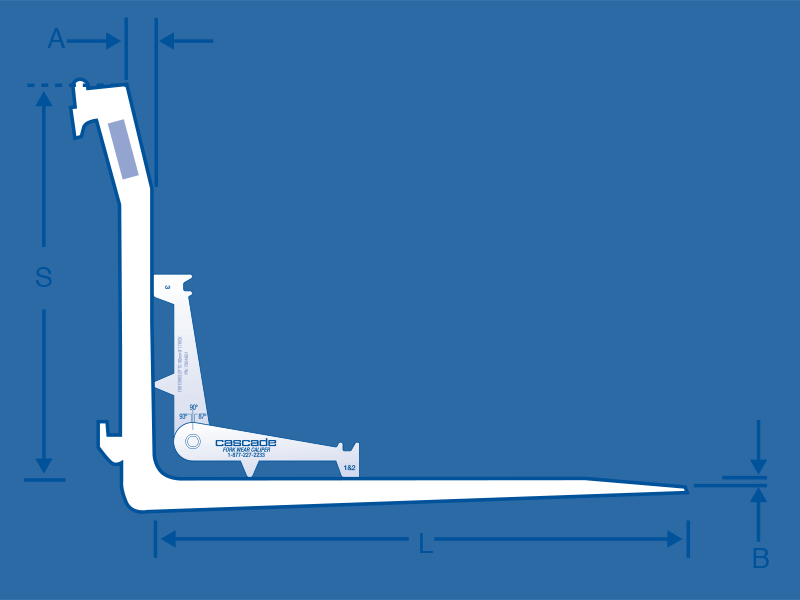 Follow the quick and easy steps outlined in the Fork Arm Wear Caliper Guide to ensure the safety of your facility and keep you in compliance with ANSI/ITSDF B56.1-2009. To order your Cascade Fork Inspection Kit, contact your local lift truck dealer or if you're a Cascade dealer you can order a kit through the Online Parts Order form.